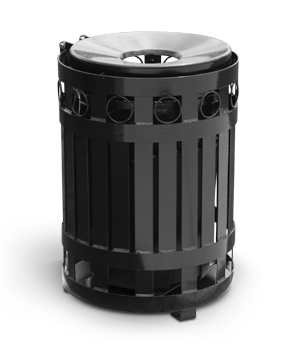 This commercial grade trash receptacle features round accents on a durable slatted steel frame to combine innovative design with efficient waste management. Pairs up beautifully with slatted steel park benches. 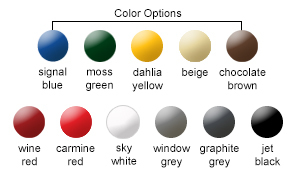 Available in the color options shown. Comes standard with hinged flat top lid. 34 Gallon plastic liner included. Matching planter and benches available.